He got three pages of answers including an interesting lecture from Freud on “chip load” theory. (If that kind of stuff interests you definitely check out the thread… otherwise keep reading). 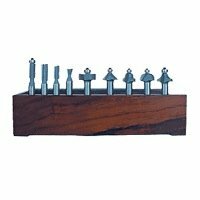 I found two other “best router bit” forum threads, one from SawmillCreek.org and one from RigidForum. I added these into the count as well to even things out. There do seem to be brand preferences skewed across the forums… check out the additions in the list below. 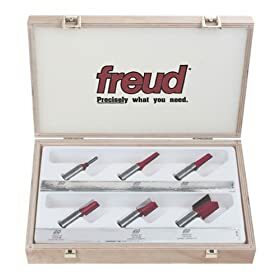 One quick note for those who are new to router woodworking – consider buying a large, low-quality 50+ router bit set for cheap. 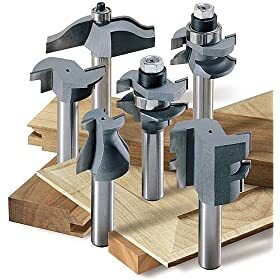 Figure out what you use frequently and then go buy nicer versions of these bits that cut the most wood in your shop. This one for example… 80 bits, about $87 bucks with shipping. LOW quality, but you’ll find out quickly which bits you should invest more money in… Consider it an $87 investment in your router bit education. 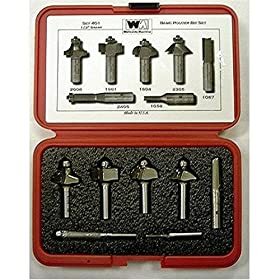 Another consideration for the rank beginner who’d like to invest a bit more cash is the basic router bit set from Pat Warner. I’ve heard nothing but good stuff about him. What I like is the detailed illustrations he has for the bits he sells, which are made in California by PRC. Read through the page and see what his starter bit set can accomplish. If that meets your needs then put him on your list for consideration. 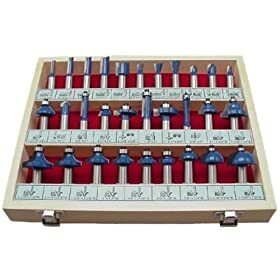 Without further ado, here are the most popular high-end router bits, followed by the most popular low-mid cost/quality range router bits. At the end you’ll find a number of resources that will help your quest for the best router bits for your shop. 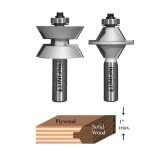 Straight Router Bits and Spiral Router Bits: Which are Better? 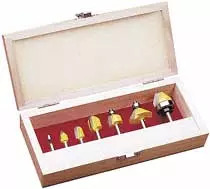 Take a minute to have a bit of fun with the Toolstoday Router Bit Profile Quiz. Do you know your router bit profiles? Test your knowledge with the Router Bits Quiz. Name that router bit. What grade did you receive? For those of you who enjoyed the First Router Bits Profile Quiz, Toolstoday has prepared a new challenge to test your router bits IQ for your enjoyment. Test your knowledge of router bit profiles by correctly naming the router bits. 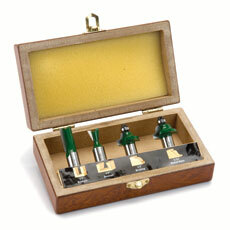 The Router Bits Quiz 2 can be found at: http://www.toolstoday.com/t-router-bits-quiz.aspx . The Quiz automatically awards a badge according to the grade you receive. The badge can be copied and pasted in you blog or website. Share the Quiz with your friends.